Greystones Players are delighted to announce their upcoming production of Seán O’Casey’s Juno and the Paycock at The Whale Theatre in Greystones on 6 – 9 December (Tickets €16 from whaletheatre.ie). All of Greystones Players’ previous productions sold out well in advance, so book your tickets now to avoid disappointment! 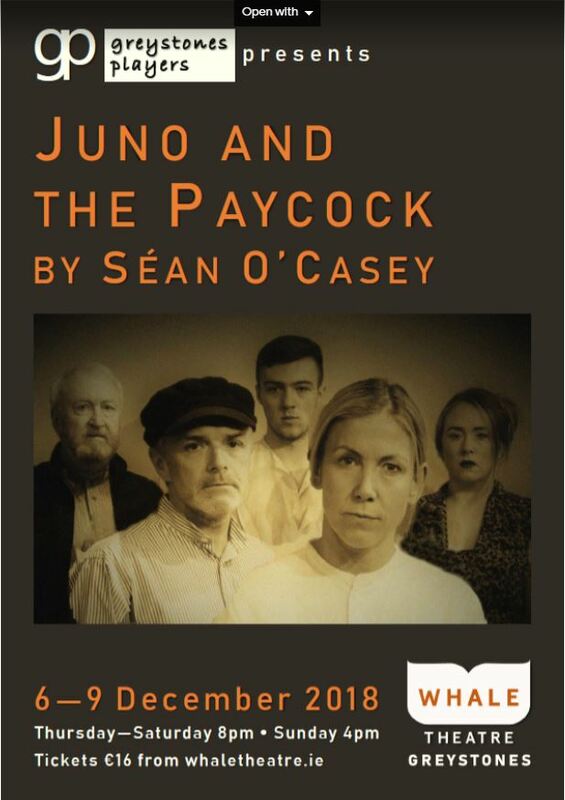 Set in a working-class tenement of Dublin in 1922, during the Civil War, Juno and the Paycock is not only of one of Seán O’Casey’s finest plays but a masterpiece of Irish drama. 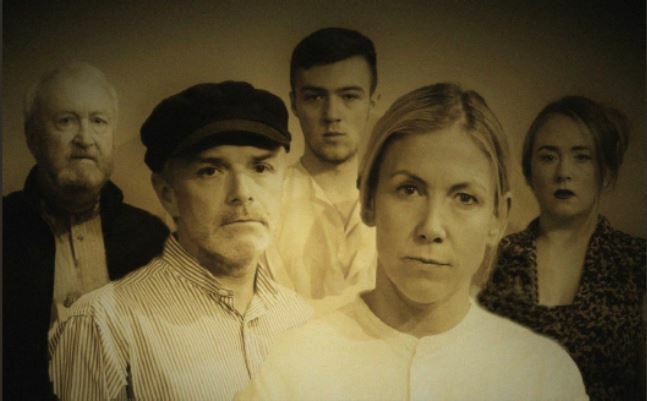 Ahead of its time, it is a feminist, anti- war play that reveals all the contradictions of this turbulent period through the experiences of a working- class family. The unsinkable Juno Boyle, in spite of her work-shy ‘Paycock’ of a husband ‘Captain’ Jack, tries to keep her family afloat and steer her son Johnny and daughter Mary through the roughest of waters. Welcome and unwelcome events – unexpected money, romantic involvements, betrayal and loss – throw the family’s already precarious lives into turmoil. As this timeless story unfolds, we share in the Boyles’ trials and tribulations, laughter and tears, see relationships made and broken, and experience the destructive effects of civil war when it intersects with these vivid personal lives. The play is full of O’Casey’s trademark humour and peopled with a host of great characters – including the quick-witted, hard-working Juno, her incorrigible husband ‘Captain’ Boyle, his sponging and manipulative friend, Joxer Daly and the irrepressible and ever-inappropriate Maisie Madigan. With his characteristic love, wit and compassion, O’Casey holds a mirror up to the best and the worst of humanity, and we can all see our own strengths, weaknesses, desires and frustrations reflected in the play’s wonderful panoply of characters. Juno and the Paycock was first performed in the Abbey Theatre in 1924, less than a year after the Civil War ended. W.B. Yeats, then managing director of the Abbey, extended the play beyond the standard weekly run (it was the first play at the Abbey to receive such an extension) because of its immediate and overwhelming success. Greystones Players is generously supported by The Whale Theatre and Greystones Studios @ Theatre Lane, Greystones, Co. Wicklow.